Over 200 people marched at the Women’s March, in Brookings on January 20, 2018. Just as many marched in Port Orford and Crescent City. What was that all about? Why did they march? Were men there? This episode talks about the march with those who were there, describing what it meant to them and why women around the world are marching. 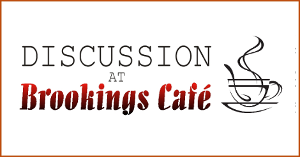 That’s the topic of discussion at Brookings Café.